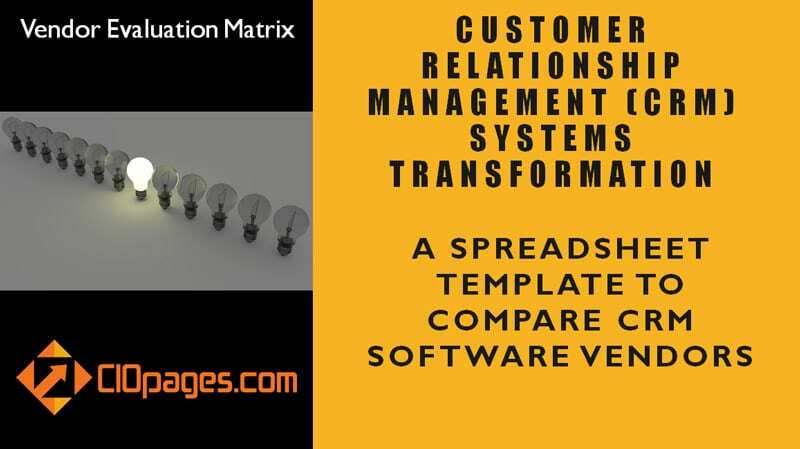 CRM Software Vendor Evaluation Matrix is a spreadsheet which can be used to assess potential CRM vendors. CRM (Customer Relationship Management) software vendors galore – from full-fledged platforms to niche point solutions. Who’s right for you? 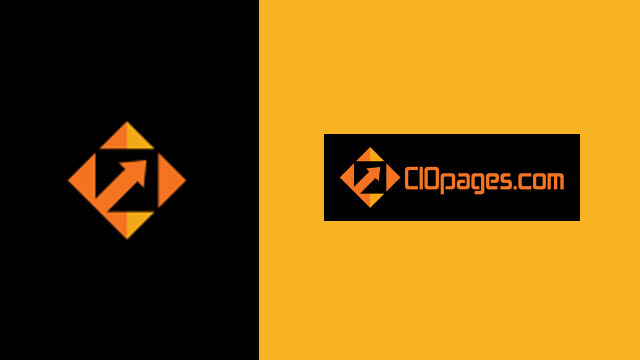 This CIOPages.com CRM Vendor Evaluation Matrix enables your project team to customize and then evaluate a range of enterprise class CRM suites/platforms. Detailed analysis and ability to vary weights so as to score, compare and select a suitable CRM Systems vendor. The CRM Software Vendor Evaluation Matrix deliverable does not contain actual scoring or ratings or rankings. We believe you are in the best position to make the comparison, based on your knowledge of what you need and want. As the CRM Software Vendor Evaluation Matrix is a digital product, there are absolutely NO Returns. This deliverable is for large enterprises considering an enterprise class CRM suites/platforms. If your needs and goals are different, you may not find this spreadsheet template useful. Why do we need a CRM Software Vendor Evaluation Matrix? You will get a pre-built template to help your vendor evaluation effort. The benefits are: a) Save Time b) Reduce or eliminate research effort in identifying and shortlisting the key features required in a CRM Software Platform c) Customizable selection criteria and assessment values making it easy to get started and d) Detailed analysis, output, and views to make informed and data-driven decisions. But, our Top Features and Assessment Criteria may be different? You may add, delete or modify any of the features that are listed. You may customize the assessment criteria. However, based on our experience, most companies find 75-80% of the information relevant to their situation. Thus you can spend your valuable time on the unique needs, which may be 15-25%, rather than starting from a blank slate. Instead of starting from scratch, a well conceived initial list of Software features to look for in a CRM software solutions can help accelerate your timelines. We all can stipulate to the 80-20 rule. Imagine, if you can take say 50-80% of the base content and can customize the rest! That quality time and focus can produce a lot of innovative ideas and opportunities that you might miss if you are focused on the entire enchilada. And regarding cost, it is far less than what it will take to buy lunch and cookies for the project team to brainstorm the features, let alone to build a spreadsheet. CRM Software Vendor Evaluation Matrix is available at a steep discount as a part of the CRM Transformation Toolkit Enterprise Edition. Would you rather consider purchasing the bundle?